Dissident republicans are "hitching themselves to the Brexit bandwagon" to launch a new wave of terror, a former police chief in the North has warned. Former PSNI assistant chief constable Alan McQuillan said the inadequate phone warning ahead of the recent Derry car bomb was "a recipe to create another Omagh". He warned there would be further attacks. He was the second senior police figure from the North to warn about the terror threat posed by dissidents yesterday. Former PSNI chief constable Hugh Orde said there was no way to avoid the return of security patrols in the event of a no-deal Brexit. Meanwhile, as Theresa May prepares to outline her Brexit 'Plan B' in Westminster tomorrow, she is working to defeat a bid by MPs to have Brexit delayed if she cannot reach a deal with the EU. The British prime minister warned that taking no deal off the table could hand Remainers a "blank cheque" and delay Brexit or cancel it entirely. Mr McQuillan said dissidents were intent on further attacks, despite a sustained security push by police and intelligence services. It follows reports that MI5 has stationed more than 700 officers in Belfast as part of an operation to combat the growing terrorist threat. The spy agency's main target is the so-called New IRA, a group of some 40 hardliners responsible for the Derry car bombing. Mr McQuillan said the dissidents "will use fears over a hard Border to try and ramp up their activities". "The dissidents are hitching themselves to the Brexit bandwagon. I think there will be further attacks, I think they remain dangerous. But I don't think they'll succeed. "They're destroying the lives of Derry people. Let's be honest, it's not damaging people in Dublin or London." He said there were 6,500 officers in the PSNI - 1,000 fewer than recommended. 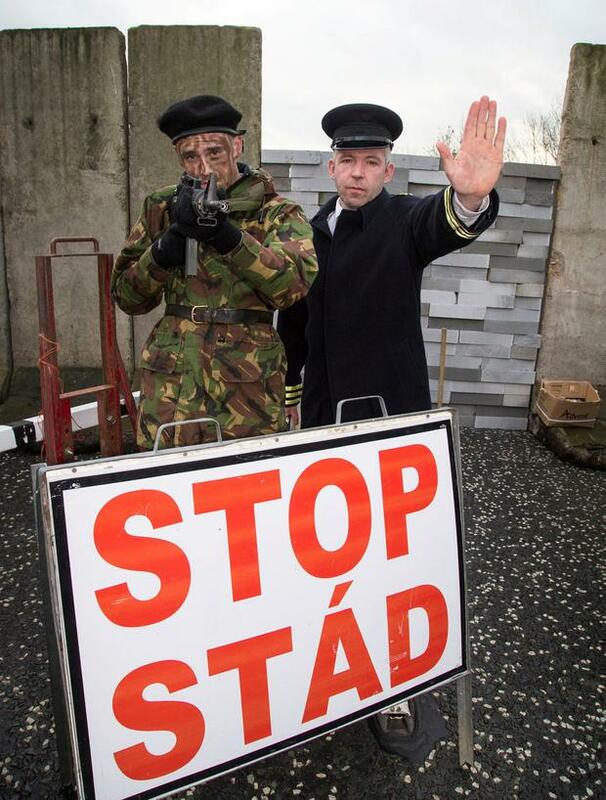 Mr Orde also voiced his concern that a hard Border would be exploited by dissidents. He accused politicians of not paying enough attention to the potential for a return to violence and said there was no way to avoid the return of security patrols in the event of a no-deal Brexit. "At the moment, you see anything that starts to create the perception of a hard distinction between north and south, it creates a catalyst that allows people to exploit that position and dissident republicans would be in that category," he told RTÉ's 'This Week'. He described the Derry car bombing as a "significant move", adding: "It's a statement that things are going to get more difficult, not less." Referring to politicians, he said: "People seem to have their head stuck in the mud and [they are] hoping it will all go away and certainly it won't and it hasn't." Meanwhile, Tánaiste Simon Coveney has moved to clarify controversial comments made by Taoiseach Leo Varadkar last week about the return of troops to the Border in the event of a no-deal Brexit. Mr Varadkar's office was later forced to clarify he was not speaking about sending Irish soldiers or gardaí to police the Border. Mr Coveney said the Taoiseach was attempting to paint a picture of the reality of the Border 20 years ago before peace was brokered. Fianna Fáil leader Micheál Martin said the "mixed messages" from the Government would only heighten tensions. 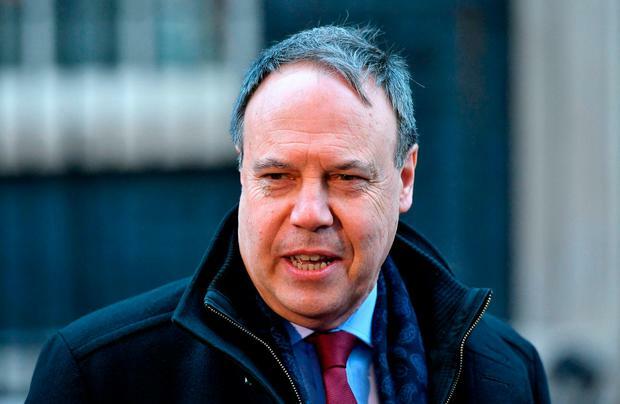 Deputy DUP leader Nigel Dodds accused the Taoiseach of "amateur dramatics" and accused Dublin of deploying "incendiary language". "Such amateur dramatics do nothing to make progress and only play on people's fears," he said.